Throughout the summer, my family and I live in baseball hats. 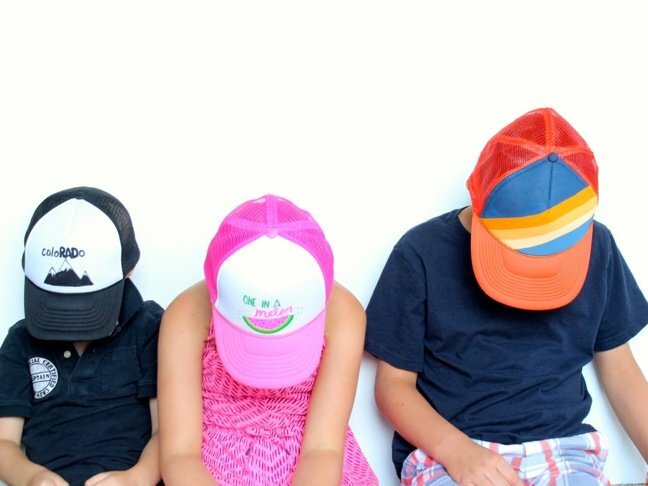 There are several reasons behind the brim obsession. First, they provide extra protection from the sun’s rays. 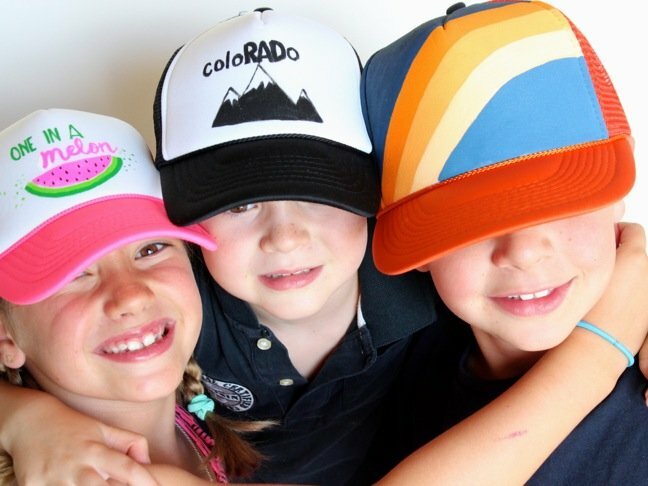 Secondly, my kids like to be “cool” with their hats, so they are a fun accessory for them to wear. 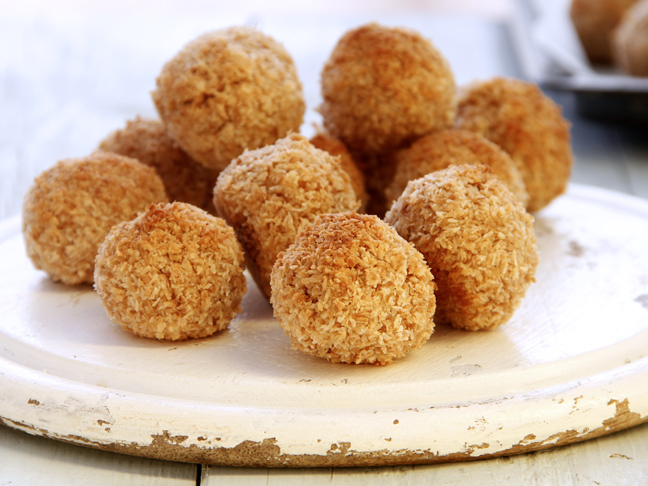 Thirdly,they’re so fun (and easy) to customize! 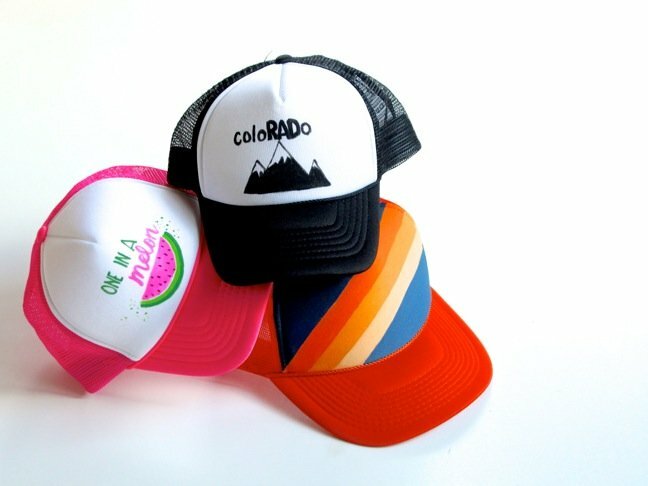 We have a small collection of hats growing (a DIY hat organizer is next on the list of to-do’s), but we needed some DIY hats that we designed. 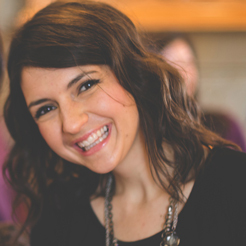 You know I like a good DIY, and this one was fun! 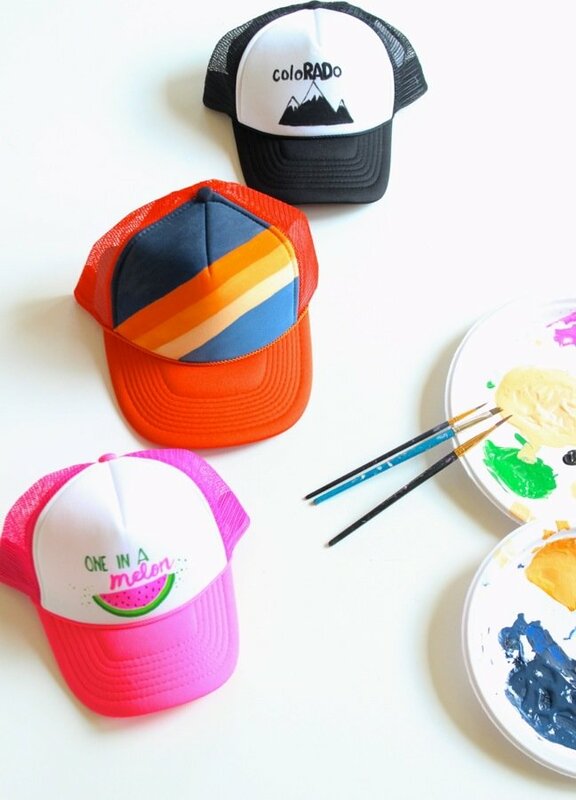 I took the lead on painting the hats, but kids can easily paint their own DIY trucker hats. You can freehand designs like I did or you can use painter’s tape or stencils too. 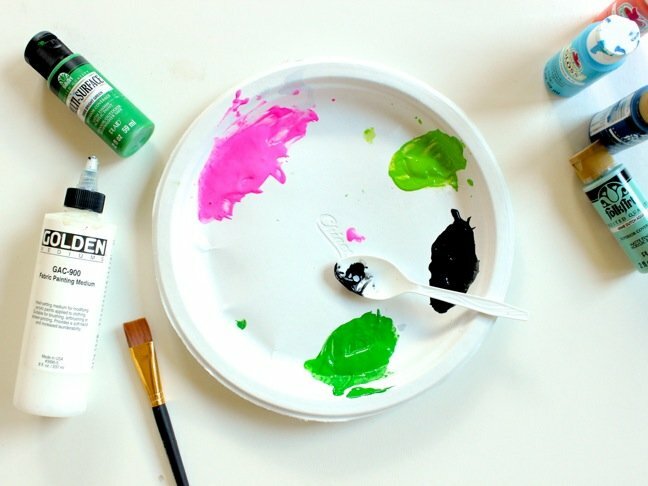 This DIY project would be really fun for a birthday party activity, and favor to take home. Here’s how I did it. 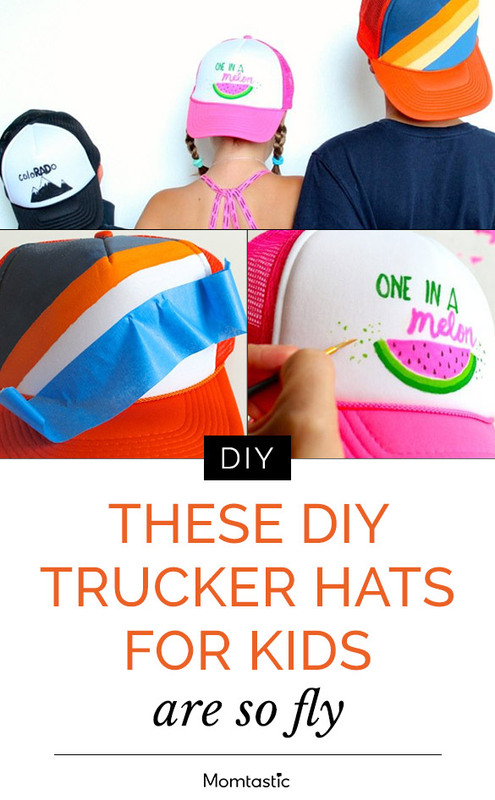 And yes, you can make your own trucker hat with these instructions, too. 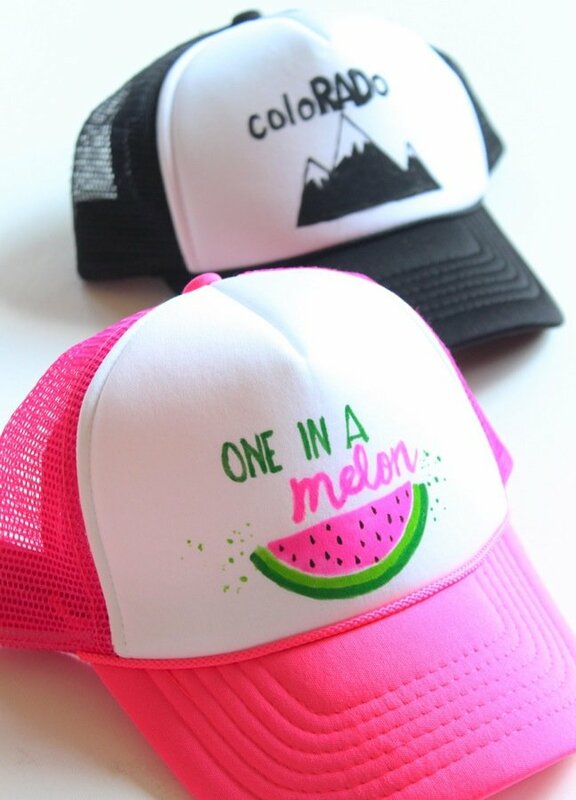 Step 1: Buy trucker hats. 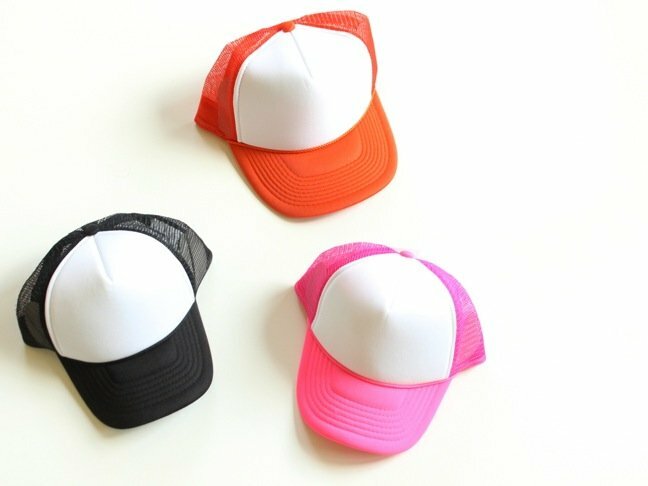 There are so many color and size options available, in both youth and adult sizes. Step 2: Prep the paint with fabric medium. I did a 1:1 ratio of paint/fabric medium. Stir thoroughly. 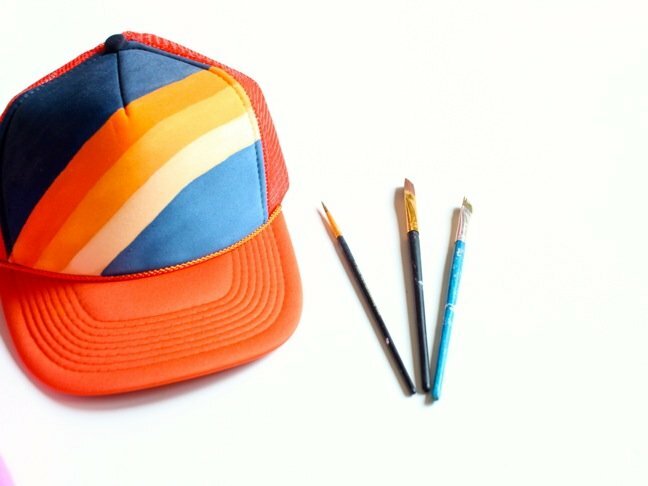 Step 3: Paint the design on the hat. I chose to paint three very different designs. For my oldest son, I painted a colorful design that is ultimately a nod to his favorite NFL team, the Broncos. 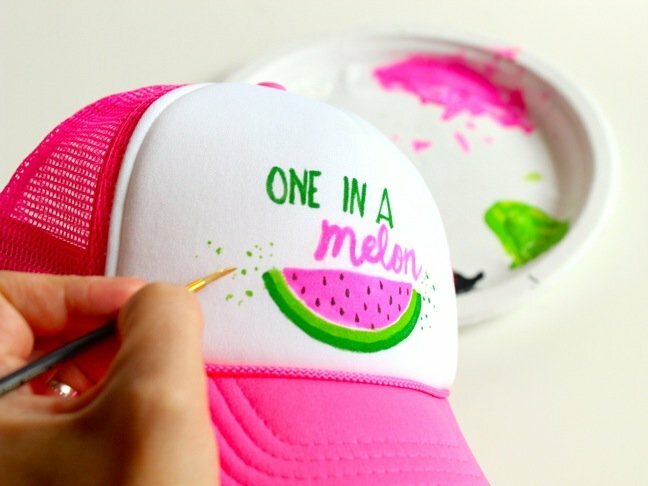 For my daughter, I painted her favorite sweet fruit, a watermelon along with a cute quote. For my youngest son, I went with a monochromatic drawing of Colorado mountains, as well as the name of the state with RAD emphasized. 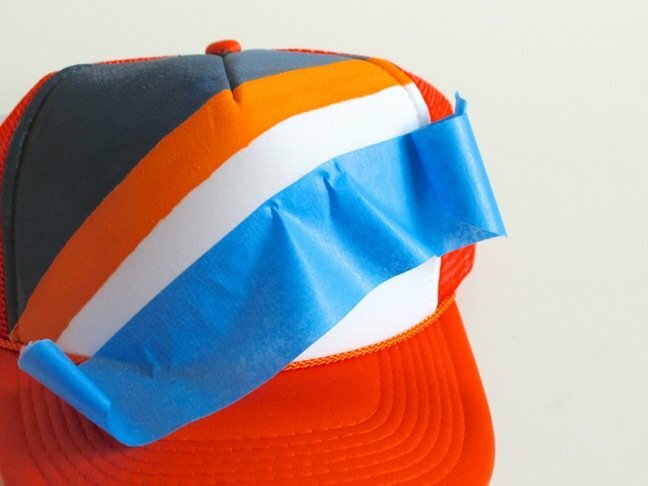 I freehanded the design from inspiration I found online, and only needed painter’s tape for the stripes on the orange and blue hat. You can also sew on a patch, use stencils, or even use a heat transfer vinyl design.